We invite you to come surround yourself with our beautiful landscaping, charming apartment homes, and wonderful amenities. Take a swim in one of our two sparkling pools, stroll through our pet-friendly community on one of our walking trails, or just spend time relaxing or grilling at one of our peaceful picnic areas. 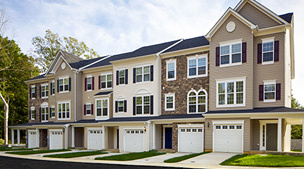 Join our New Townhomes community! 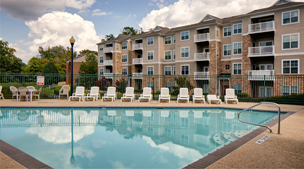 The Apartments of Wildewood is Saint Mary’s premier rental community! Centrally located to everything from employment to entertainment! Our residents have access to many amenities such as two beautiful clubhouses, two sparkling pools, and 24 hour fitness center and on site storage. Friends and family will be awed by your spacious new home with a garage, fireplace, soaring ceilings and soaking tub! 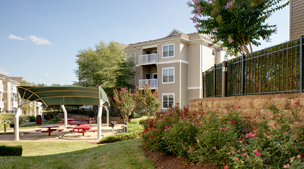 We offer beautifully appointed garden-style apartments that you will love to call home. All of these features including a staff that is committed to providing you exemplary service are available at Saint Mary’s most coveted address…The Apartments of Wildewood. Our floor plans are enhanced for unified and luxurious living. The Apartments of Wildewood offer beautifully designed apartments with a large variety of 1 – 2 Bedrooms ~ Dens & Garages Available. Cozy electric fireplaces are located in each apartment on 2nd & 3rd floors only. Come visit us and choose the one that’s right for you!